Artist Mary Ellen Croteau was working on an artwork involving plastic bottle caps, creating tall endless strings that are strung vertically in colorful columns. 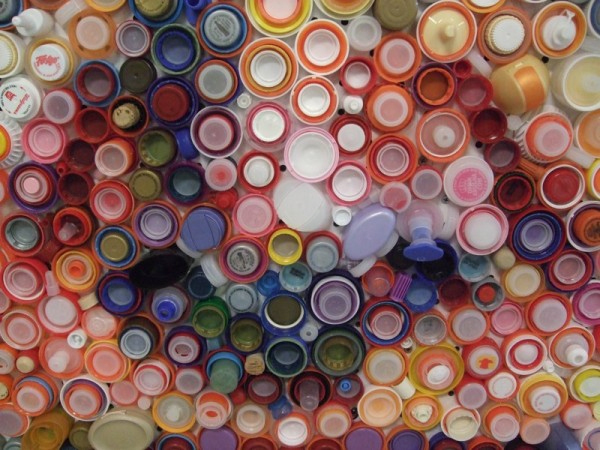 She repeatedly noticed how some of the caps would fit neatly inside of one another creating new color combinations similar to the portraits of Chuck Close. 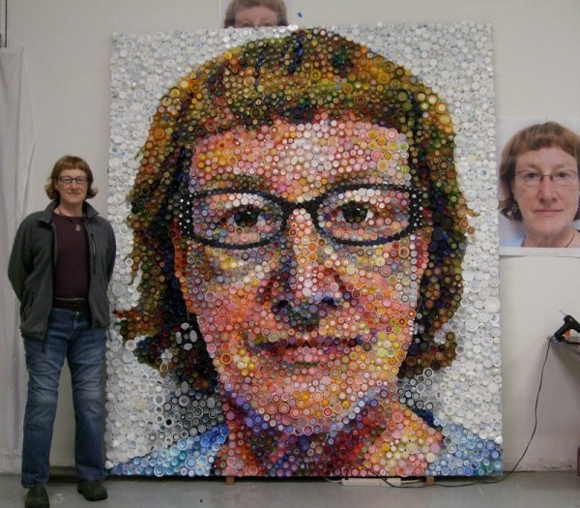 Inspired, she became sidetracked and embarked on her own self portrait using the colors that ânaturallyâ appeared in the bottle cap plastic.